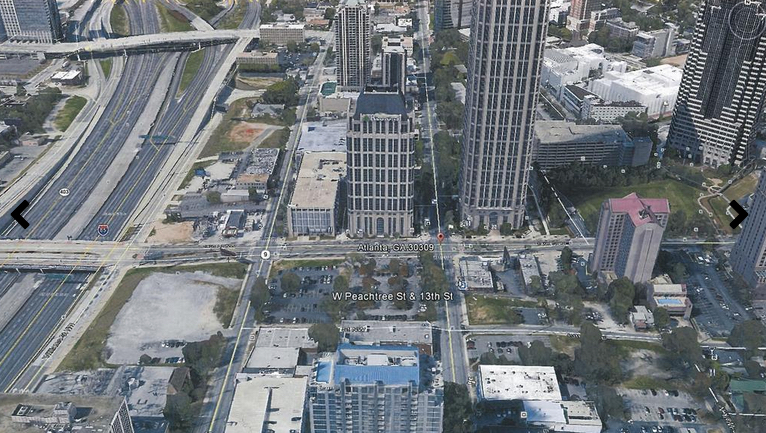 (The site is bounded by West Peachtree, Spring, 13th, and 14th streets in Midtown). 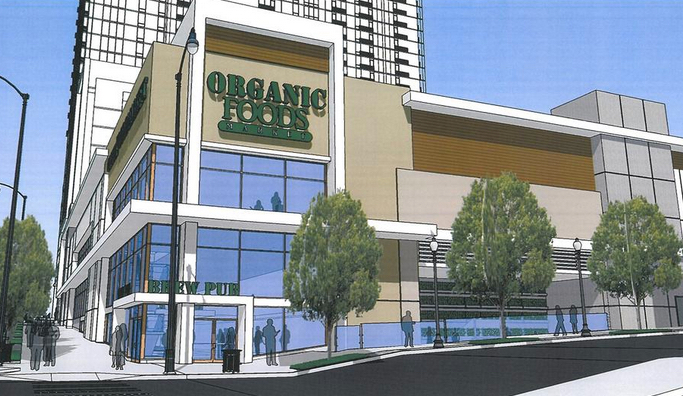 Whole Foods Market Inc. wants to put a flagship store next to a planned Midtown residential tower, a 72,000-square-foot location that might include a brew pub and cooking school. Plans for the organic grocery store were unveiled June 9 to Midtown Development Review Committee. Architect Rob French, with Phillips Partnership, presented renderings of the project, which would stand next to a proposed residential tower at 14th and West Peachtree streets. Miami-based The Related Group is the developer. Related executives appeared before the Development Review Committee with Phillips Partnership, a firm that has designed seven Whole Foods (NADAQ: WFM) stores, including locations in Sandy Springs and Savannah. The new Midtown store could be more oriented toward dense, urban environments. Midtown is the city’s most walkable commercial district and home to several of its tallest buildings including One Atlantic Center and Bank of America Plaza. “We’ve asked them to go a little outside their comfort zone,” French said of the tenant, referring to the design of the project. Among the features proposed are a roughly 5,000-square-foot pub and 4,000-square-foot cooking school. Delivery service Insta-Cart could operate out of the store, according to plans. The design would also incorporate green walls and outdoor dining. Apparently, Whole Foods is sensitive about any reference to its proposed Midtown location. Several times the tenant’s name was presented simply as “Organic Foods Market” to the DRC board. Ed Allen, with The Related Group, never mentioned Whole Foods by name, but he did say a lease with a tenant was in place. Even so, it’s a poorly kept secret. The name “Whole Foods” slipped several times during the architects’ presentation. In March, Atlanta Business Chronicle reported that the Austin, Texas-based grocery chain was in talks for the project. The store could break ground in by mid-2016, with a projected early 2018 opening, Allen said after the meeting. Development Review Committee members asked Related Group to consider adding a rooftop garden or terrace to the store and to tweak the design to be more engaging for pedestrians.